We provide dry carpet cleaning using the product; Host. The system is 100% dry and you can walk on your carpets shortly after cleaning. The room does not have to be totally empty, due to the system being dry we can move the furniture as we clean as long as the furniture is light weight and empty. 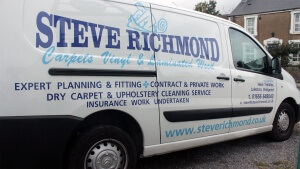 We also provide upholstery cleaning using form which is 5% wet.